I want to everyone to know that what’s happening in the Bonin Islands now. Suspicious boats that are often witnessed in the Bonin Islands waters from August. 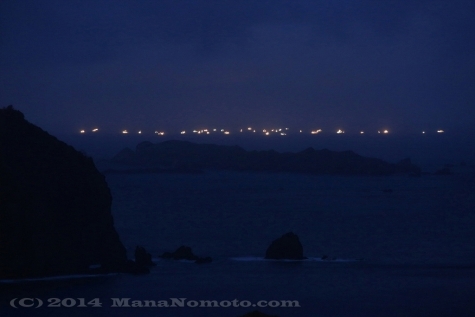 The Chinese fishing fleet that had been witnessed in Mukojima Islands waters at the beginning. And they appeared in Chichijima Island waters lately. It seems poaching jewelry coral ( red coral ) which is traded at a higher price is their purpose. Coral net doesn’t just take red coral. It’ll take all of the seabed such as bottom fish, other corals and rocks which is bottom fish’s habitat and destroy everything. However, here is Japan's territorial waters. Foreign fishing boats must not be operating. One Chinese poaching ship is seized by the Coast Guard on the 5th of this month, and anchoring with patrol boat at Futami bay of Chichijima island. There is only one patrol vessel of the Coast Guard is dispatched to the Bonin Islands waters. While this patrol vessel is at the Futami bay, there is no other patrol vessel to control the poaching ships in the Bonin Islands waters. I heard that another patrol vessel equipped with a helicopter was dispatched, But it’s not big enough to control about 50 poaching ships. Beautiful red corals that nature has created over the years will be taken uprooted in this situation and the nature of the sea of the Bonin Islands will be destroyed. It’s featured in the media every day when the Senkaku Islands dispute. 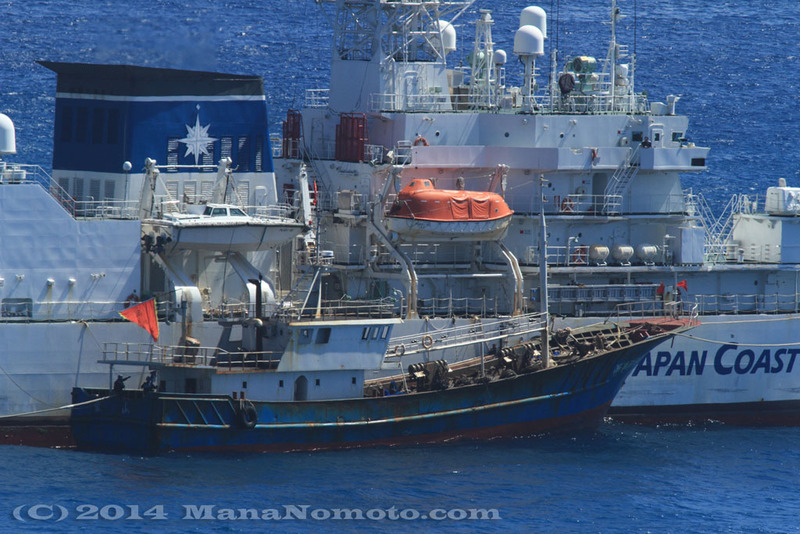 The reality has to flow as information gradually through the SNS, but only little is known to the public that what’s happening now in the Bonin Islands waters. One of the city councillor starts action. And aired issues once or twice on the TV news. But nothing would solve, if the government does not addressed this problem. The eerie poaching fleet which can be seen from the lookout.